Last night on Comedy Central Stephen Colbert announced “an exploratory committee to lay the groundwork” for his “possible candidacy for president of the United States of South Carolina.”Of course, this came after polls for the SC primary showed him first at 5%, then at 7%. This is all so much more substantial than watching the other candidates as they attack each other for things that each of them do anyway. Since there are no write-ins in South Carolina, being able to vote for Colbert may not be possible. This will cause a media brouhaha…just wait. I don’t get to stay up late at night if I’m subbing for John at WSHC the next morning, so I didn’t see Stephen Colbert‘s show until this morning when I returned from the broadcast. I was glad to see he had Bill Moyers on as a guest… Moyers, after two years being away from television, is coming back this month with a new series, Moyers & Co., on Public Broadcasting. He’s coming back because of his worries about where the moneyed corporations at the top are taking a government which, given their super PACs and lobbyists (and major office holders), have spent 30 years destroying the Middle Class. Colbert, of course, did all he could to trap Moyers with his pseudo conservative comments (while letting Bill get in the information he wanted to get across), and the discussion came around to whether corporations were people a la the Citizens United decision. Audience applause of course… and Colbert skipped a beat trying to come back with a remark. In a five-to-one decision, the Federal Election Commission granted comedian Stephen Colbert the right to create a “SuperPAC” to raise money for the 2012 election campaign. This would make him an equivalent to people like Karl Rove who are attempting to influence the elections. But the FEC also concluded that the television host’s employer, Viacom Corp., would have to report any help it gives to Colbert for political activities outside the “Colbert Report” show. The panel gave the newly registered “Colbert Super PAC” a relatively narrow media exemption applicable only to the humorist’s show. Any assistance from Viacom outside the show must be treated as “in-kind” contributions and reported to the FEC. Today was the 153d Commencement at my Alma Mater (class of 1968), Northwestern University. 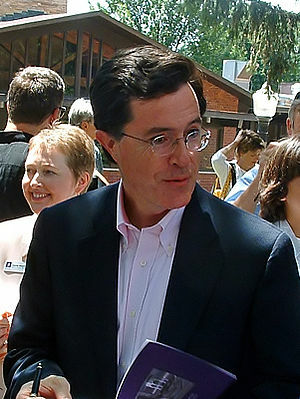 Stephen Colbert, of all people (NU class of 1986), was the Commencement Speaker. Go HERE and listen to his very funny address. …and congratulations to graduates everywhere. Now, if only each of these attendees convince ten non-attendees to vote progressive…. The Rally to Restore Sanity has come to a close, and crowd estimates are beginning to trickle in. It is clear that a huge number of people attended the event (see photos from the rally here), but the calculations vary among sources. According to CBS News, 215,000 people showed up for the rally on Saturday. By comparison, CBS estimated that 87,000 — just 40% of the Sanity Rally estimation — attended Glenn Beck’s “Restoring Honor” rally in August. Canada’s CTV, meanwhile, wrote that 250,000 people were estimated to have partaken in the Rally to Restore Sanity. Earlier on Saturday, Brian Stelter tweeted that the Parks Service approximated that “well over 200,000” attended Saturday’s rally. For full coverage of the rally, check out HuffPost’s comprehensive live blog of the event, including videos, photos and more. It’s on Comedy Central and it’s on C-SPAN and my big flatscreen TV is almost like being there (and I can get at the refrigerator.) So I’m watching the musical performers, the giving out of Medals of Reasonableness and the fooling around of Colbert and Stewart. There are, as I understand, about 150,000 people there – the NY Times says over 200,000 – (the camera view stretches from the Capitol end of the Mall (the stage is between the the Contemporary Art and the Smithsonian American Indian Museums) down to the Washington Monument end. Judging from other events there, I can believe the numbers. It’s fun. They are handing out medals for fear and for being reasonable… some receivers not there (like Mark Zuckerberg … as Stephen says he couldn’t be here because he was more concerned with his privacy than yours), some who come on and make a speech. And I had a nice lunch while I watched of some fresh vegan biscuits that I had just whipped up. Jon’s Speech at the end, commenting against “the exhausting energy it takes to hate,” was brilliant and unexpected and his views were more non-political than I thought they’d be – and targeted the current national situation, with parties that don’t work together…intentionally…by not solving problems. I don’t know what the press will say about it tomorrow, but they ought to restate his points over and over. Tomorrow is the Rally… are you going to D.C.? Tomorrow will be the Rally to Restore Sanity and/or Fear that Jon Stewart and Stephen Colbert are pulling off on the National Mall. What seems to have stated as a satirical copy of the Glenn Beck Rally to Restore Honor, all of a sudden the Stewart/Colbert gathering is starting to be taken seriously… at least 8 commenters in this morning’s NY Times, various television coverage pieces both Nationally and on the DC local stations, Time Magazine… and on it goes. So, this is a way to get ready for Halloween, let’s say. But is it going to have any effect on the election next week? Perhaps a little in the local area. 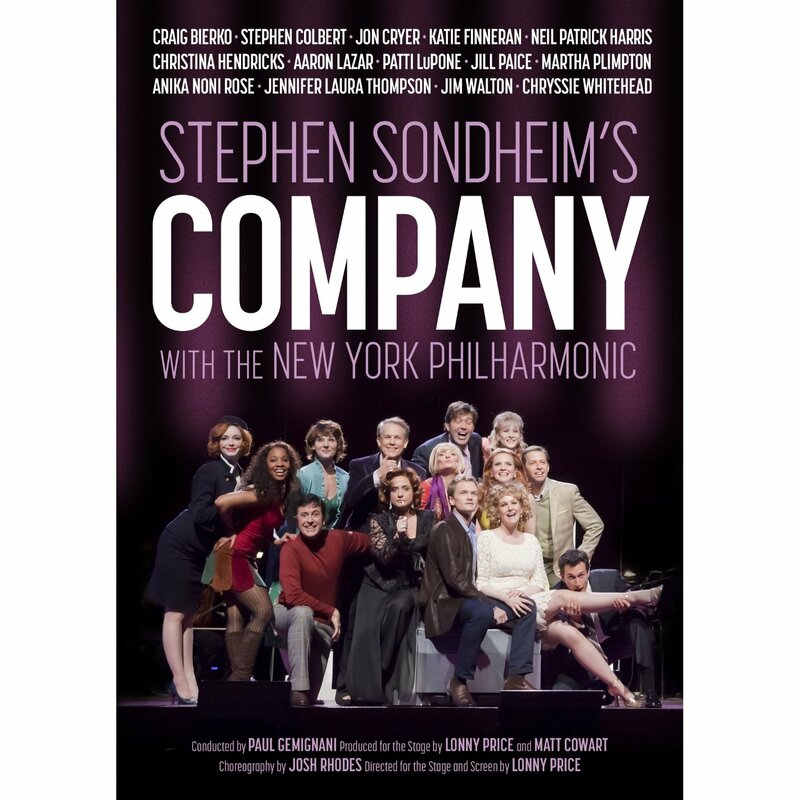 I’m not sure about it’s National Effect (although it is interesting that people like Oprah Winfrey are providing tickets to get groups of people there and Arianna Huffington is providing buses from New York. These are politically “with it” celebrities and they give a distinct mark of reality to the whole thing. I’m going to watch it from the confines of my living room and television, but I’ll be there in spirit. I’m curious to see what the actual body count is, however. If you watched The Daily Show or the Colbert Report last night, you know why. Jon Stewart and Steven Colbert will march together on Washington. Or against each other in Washington. Either way, expect plenty of Comedy Central fans to show up on October 30 when Stewart’s “Rally To Restore Sanity” will meet Colbert’s “March To Keep Fear Alive” in the nation’s capital. The duo have been hinting at a major announcement for several episodes in a mock response to Glenn Beck’s own “Restoring Honor” rally that was held this year on the anniversary of a famous Martin Luther King speech at the same monument. There’s no indication that the announced get-together is a joke, though. Both comedians are telling their audiences to book hotel rooms now (though for different reasons, as you’ll see).